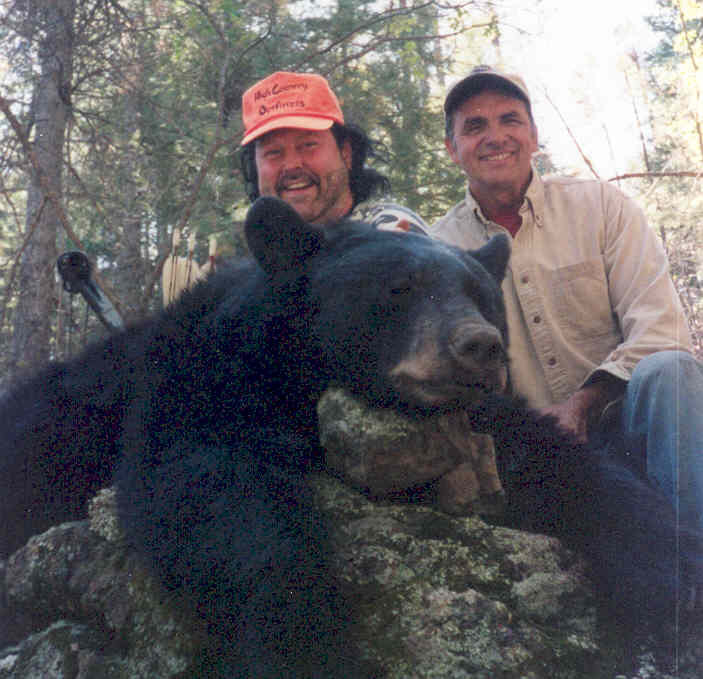 Stan Bennett (Left) and Van Johnson (Right) with a bear you will see on the video below. Filmed in Colorado, Utah, Idaho, Wisconsin, Arizona and New Mexico. Bear Video is 60 minutes and features all aspects of the bear hunt with hounds. Watch as Van takes his clients from the rig to the tree on numerous bear hunts. One memorable scene shows his pack trying to make a tough bear climb from across a rough canyon. Cost is $19.95 + 5.95 s/h. Lion Video is 60 minutes and is packed with lions. Follow Van through the snowy trail to the lions pearch. Some tree but one big male is bayed up by Clyde, a big plott. Watch Van try to recover his hound without killing himself, the hound or the lion. Cost is $19.95 + 5.95 s/h. Mastercard & Visa call 1-970-562-4593.